This data looks at a 60 yard pitch shot with a 56° Wedge. 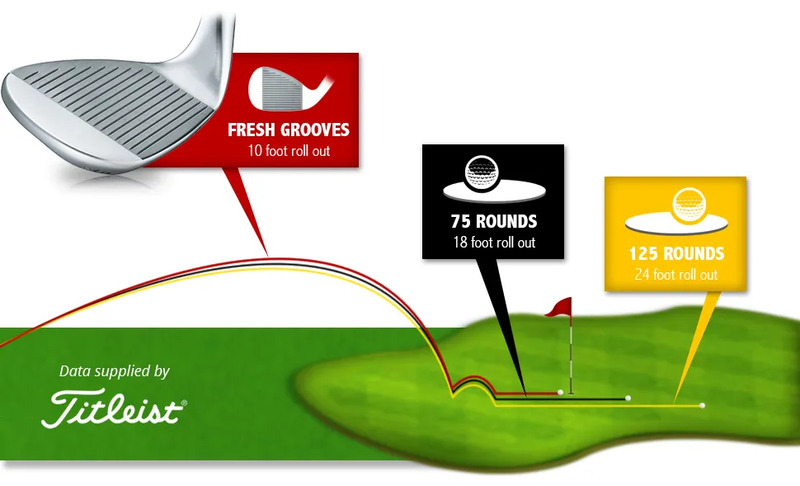 With clean and fresh grooves a spin rate of nearly 9,000 rpm meant the ball landed with a roll out of just 10 feet. 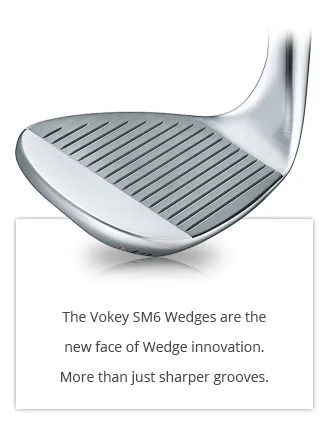 A 56° Wedge that has seen 75 rounds of use, now has a significant impact on your control around the green. 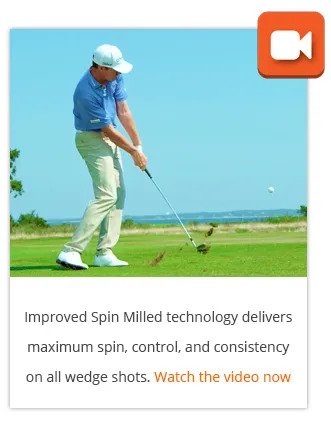 The same 60 yard shot will have an 18 foot (nearly double) roll-out with a spin rate over 1000rpm less. You will struggle top get it close as often as the grooves wear. 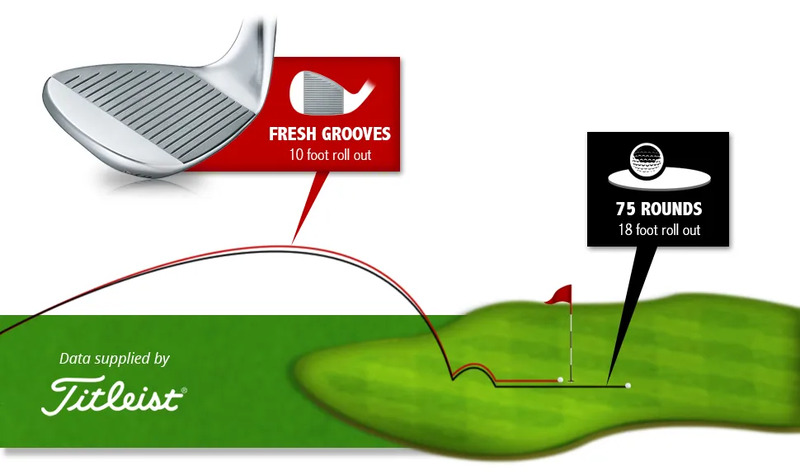 By 125 rounds, our 56° wedge is creating 2,000 rpm less and that means a roll-out of 24 feet. That is far too much roll to allow control and certainly makes it very difficult to get at pins on the front half of the green. If you are playing Wedges that are a few years or more old, come and see us. Lets see how your grooves are still working for you. 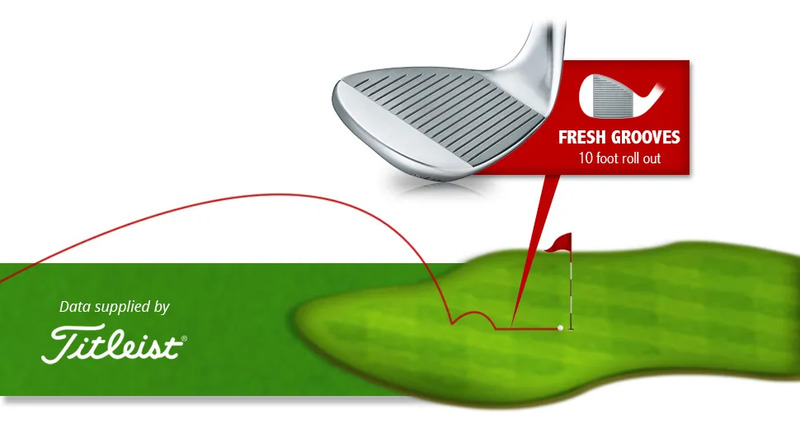 How big a difference will new grooves, cut with more precision than ever, make on your short-game shots.